Up until this past Sunday, people all over the world have been glued to their TV screens, watching the drama unfold at the Olympic Games. Whether it was Michael Phelps in the swimming pool or Usain Bolt on the athletics track, we were mesmerized by their exploits and uplifted by their camaraderie. Baron Pierre de Coubertin, who brought the modern Games to life at Athens in 1896, would have been delighted at the spectacle of the XXXth Olympiad held in London. In South Africa we were optimistic that our team might improve on their modest performance in Beijing when they returned with just a single medal, a silver in the long jump. We did not have long to wait. On Sunday 29 July Cameron van der Burgh won the 100-metre breaststroke in a world-record time. But the best was yet to come. 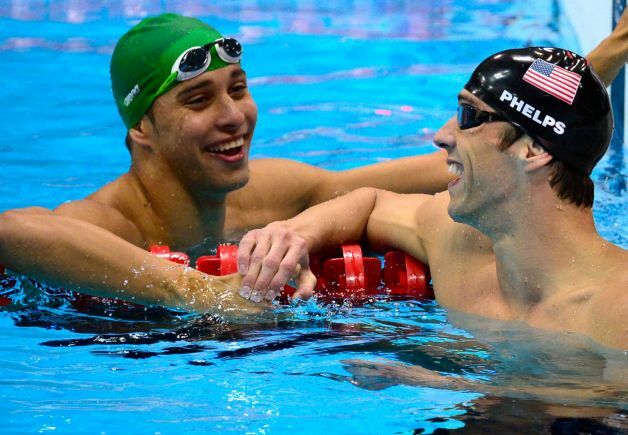 Two nights later 20-year-old Chad le Clos stunned Michael Phelps to win gold in the 200-metre butterfly. As Chad shed tears of joy on the podium, listening to Nkosi Sikelel’ iAfrika, we shared the magic of the moment with him. South Africa has a proud history of producing world-class swimmers at an early age. On 10 August 1965 Karen Muir became the youngest person to break a sporting world record in any discipline. The girl from Kimberley, aged just 12, knocked more than half a second off the 110-yard backstroke world record at a meeting in Blackpool, England. During the following five years Karen would go on to set another 15 world backstroke records although sadly she did not compete at the 1968 Olympics in Mexico City — South Africa had been banned because of its Apartheid policies. 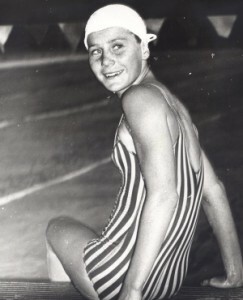 Karen Muir retired from competitive swimming in her final year of high school, choosing to focus on her studies and subsequently graduated from the University of the Free State as a medical doctor. She practised here in South Africa and, for the past decade, in rural Canada. Three years ago Dr Muir was diagnosed with breast cancer and underwent surgery followed by radiation and chemotherapy. An article earlier this week reported that the cancer had metastasized and spread to other parts of her body. As we celebrate the success of our young Olympians, let us remember the remarkable achievements of the young girl from the diamond fields who now faces one of the greatest challenges of her life.